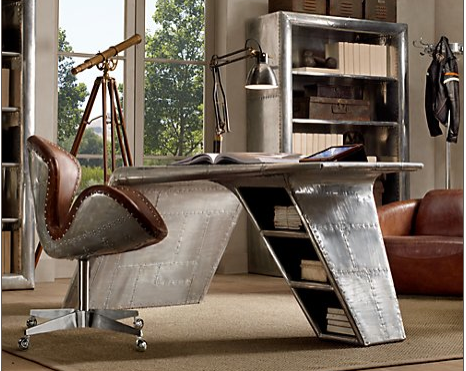 This is called the Aviator Wing Desk. It is ridiculous. And poor Arne Jacobsen is rolling over in his grave over that chair - it's no swan.